We excel at providing well-designed environments that integrate sustainable design into the fabric of urban life. Our team explores and analyzes how design can positively impact people and the environment through designing urban spaces like rooftop gardens and terraces, green roofs and eco roofs, plazas, memorials, and more! 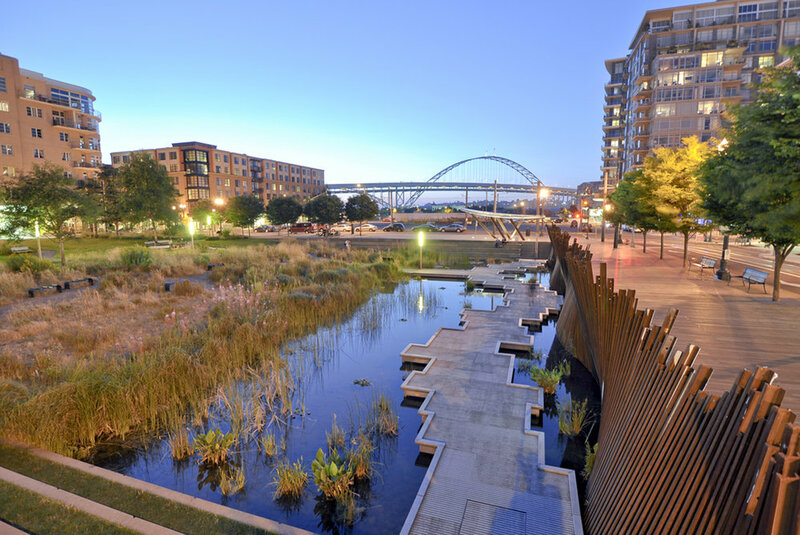 We combine the technical aspects of urban design with sensitivity to site and context in order to provide a connection to nature in places you'd least expect it. Looking for an urban development project?